I’ll just start by saying that the end of Visual Studio Express is nigh. Gone are the days where you have to install multiple versions of the express edition to create projects on different platforms. No longer is there a caveat that divides casual and indie developers with professionals using a more sophisticated derivation of Microsoft’s powerhouse. 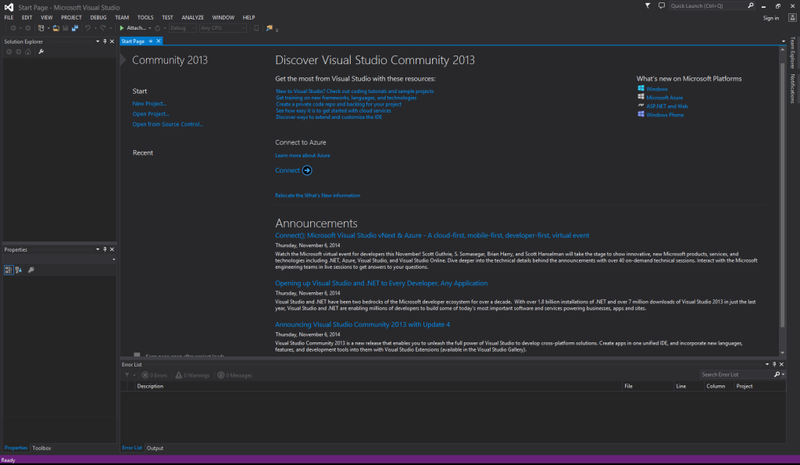 It’s a moment to rejoice, as Visual Studio Community has officially been released. It’s not obvious in seeing any major differences between Community and Express editions when you first launch the SDK (overall the interface looks nearly identical but that’s not unexpected). Ya, you get to choose a theme while the development environment is being setup, but I think it’s safe to say not too many software engineers are going to be blown away by it. To truly appreciate the differences, a little investigation is required. ‘New’, for example, no longer implies creating just an application template when it can also mean creating a website or team project. When you load a solution, Visual Studio Community will configure itself to provide relevant functionality catered to the project template while also providing you with additional features that justify the price of the professional version. 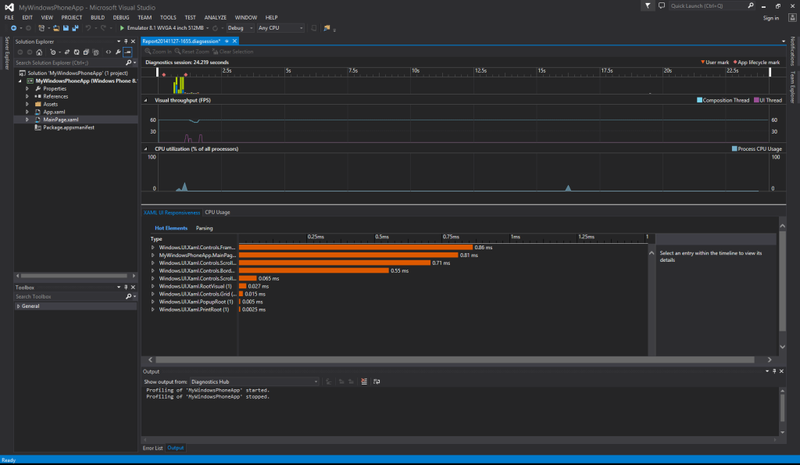 Opening up a windows phone project for example, gives you tools to analyze and profile the app as well as being able to compare performance histories which is a developers delight. Visual Studio Community is a name true to it’s nature. 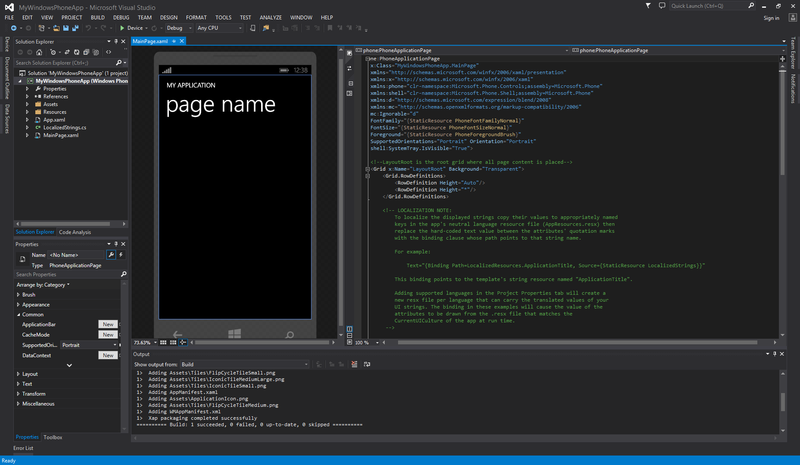 Log in using your Visual Studio profile and you have access to Team Explorer where you can collaborate with peers using repositories hosted on the cloud. Notifications are present to inform you of current and upcoming updates to SDKs keeping developers engaged in trying out different ideas whenever new functionality rolls-out. There’s also no shortage of sample projects and extensions created by reputable 3rd-parties meaning you no longer have an excuse for your project’s workflow to stagnate. The advent of Community is a fantastic leap in the right direction for Microsoft giving more power to individual developers and small businesses, but isn’t an IDE without flaws. The biggest pet peeve of mine is that it’s still a chore trying to use the MSDN Forum within the application and something I doubt Microsoft will rectify anytime soon. Also, with the plethora of features crammed into the IDE I can’t help but feel that it’s more convoluted than it needs to be. I mean, I’m no user interactions expert (I’ll leave that to Andre) but do you really need to have the ‘Performance and Diagnostics’ button under both the DEBUG and ANALYZE menu bar items? I’m sure I’ll find more things to nit-pick as I spend more time on it but I’ll definitely be purging my personal machine from express editions in favour of Visual Studio Community.